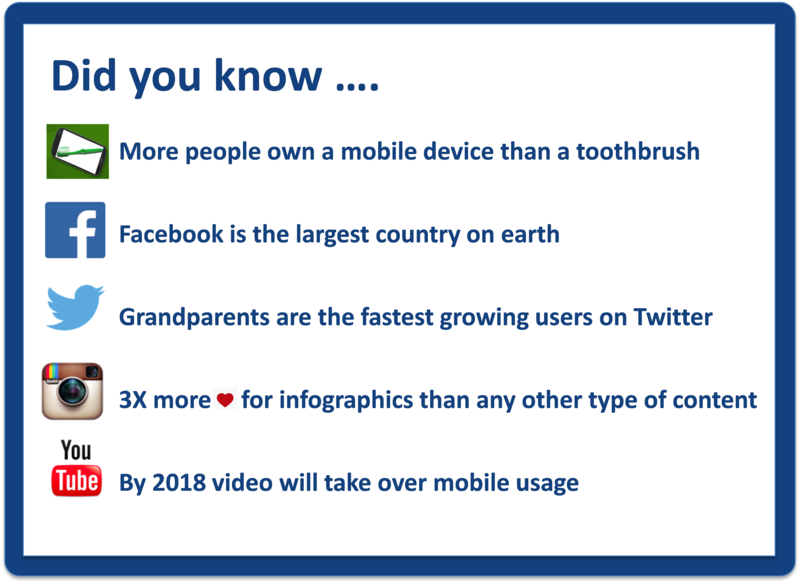 Around the world, billions of us use social media every day, and that number just keeps growing. In fact, it’s estimated that by 2018, 2.44 billion people will be using social networks, up from 970,000 in 2010. We use it for every part of our lives – in our personal relationships, for entertainment, at work and in our studies. To put it into some context, every minute we collectively send more than 30 million messages on Facebook and almost 350,000 tweets. Our growing love of social media is not just changing the way we communicate – it’s changing the way we do business, the way we are governed, and the way we live in society. And it’s doing so at breakneck speed. Here are six observations and predictions for the way social media is changing the world from experts from the Global Agenda Council. It’s a trend that is already spreading to businesses beyond the newsroom, whether it be because of digital marketing or new customer service communication channels. Other industries should look to the lessons learned – or not – by the newsroom and ensure that they’re one step ahead of this social media-enabled disruption. Read Shannon and Lee’s full blog. Wikileaks and the rise of the social-media savvy terrorist organization ISIS are just two examples of this shift in power, which will call for a complete rethink of the concept of governance. From Facebook’s Safety Check – which allows users in disaster zones to mark themselves as safe – to the rise of the CrisisMappers Network, we’ve seen many examples of how social media and digital communications more broadly are helping respond to disasters. That looks set to continue, says Heather Leson of the Qatar Computing Research Institute. In fact, more and more of us will be using social media to contribute to disaster relief from wherever we are: “Digital responders can immediately log on when news breaks about a natural disaster or human-created catastrophe. Individuals and teams are activated based on skill sets of volunteer and technical communities. These digital responders use their time and technical skills, as well as their personal networks in an attempt to help mitigate information overload for formal humanitarian aid in the field.” These digital humanitarians will help close the gap in worldwide disaster response. Read Esra’a and Melissa’s full blog. This capacity for social media to bring together disparate but like-minded people is also helping fight another enormous challenge: climate change. “Social media has become an important tool for providing a space and means for the public to participate in influencing or disallowing environmental decisions historically made by governments and corporations that affect us all. It has created a way for people to connect local environmental challenges and solutions to larger-scale narratives that will affect us as a global community,” says Shannon Dosemagen. Have you stopped to think how social media is impacting you, your business or your community?